First there was a call for a ban on the Burka, now some are calling for a ban on cousin marriages. One could understand if at this point Asian communities, especially Pakistanis are feeling demonized. The latest furore on cousin marriages is largely the result of last night’s Dispatches programme on Channel 4, which turned a health issue into a racially charged political one. What women choose to wear is a personal choice. When women choose to wear see through tops, tops showing their midriff or hipsters that show your thongs from behind, there is no political debate about that. Of course not, people would think it ludicrous. Yet the Burka, which is only worn by a minority of Muslin women in Britain has been made into a political issue and one which is all the more contentious because of the interplay of race and religion. Such is the case with the latest furore over cousin marriages which has erupted as a result of last night’s Dispatches documentary on Channel 4: When Cousins Marry. 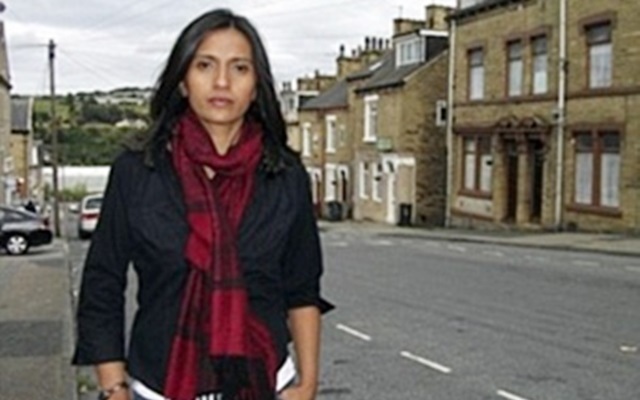 As usual, such programmes are always fronted by someone from an ethnic minority background to give more credence to the documentary, and this was no exception with Tazeen Ahmad doing her best to scaremonger the British public. One only has to look at some of the articles in the mainstream press to see how Channel 4 has handed far right groups and individuals with right-wing views ammunition to wage a damaging smear campaign against Asian communities in Britain. Take for example a commentary in the Telegraph yesterday by Ed West with the inflammatory headline: HOW LABOUR’S IMMIGRATION POLICY LED TO GENETIC TRAGEDY. West, who uses a metaphor to refer to British Pakistanis as canines, writes of “a massive increase in inbreeding” and refers to Bradford as “a veritable human Crufts” which is a perfect example of how racism is reproduced through language and texts. West is clearly seeking to dehumanise the British Pakistani community by reducing them to the status of sub-human. “Inbreeding” is of course a term used to describe animals, whereas the scientific term for cousins who marry and have children is consanguinity. Wrong. What the documentary failed to mention was that according to the Human Genetics Commission (HGC), the absolute risk of first cousins having a child with a recessive genetic condition is 3 per cent. But we did not hear this on the Dispatches programme. What we also did not hear is that according to the Genetics Interest Group (GIC), consanguinity bears some similarity to another risk factor during pregnancy – maternal age. The GIC states that the risk factor of having a child with Down Syndrome increases with the age of the mother. A woman who gets pregnant at 35 is four times more likely to have a child with Down Syndrome than a woman aged 25 and 15 times more likely at the age of 40. In other words, white or European culture is normalised and becomes invisible in the public psyche because the mainstream media does not politicize or racialize European culture. Well on this occasion MPs would do well to keep their mouths shut, as this is not a political issue, just as the trend for European women to delay having children is not treated as a political issue. In the Dispatches documentary, ex MP Cryer said that consanguinity is putting a strain on health services. Well so are obesity related illnesses, many cancers caused by smoking and illnesses related to alcohol abuse – these too are illnesses that occur as a result of personal choices. Couples can then make informed choices, just as women who choose to get pregnant in their forties and fifties make informed choices about the increased risk of Down Syndrome. Politicizing and racializing cultural differences and matters of personal choice is never a good idea as it merely plays into the hands of the far right. Greeings. Very interesting comments. Firstly saw small amount of the programme. As soon as it opened with an Asian man on the floor screaming I thought propaganda. I am normally a fan of the programme but have to be more aware of what I expose myself to, since these programmes are in fact tools of the media.The media always have an agenda. As Adults we have to be more aware of what we expose ourselves to. I am very grateful to the fact that a more balanced comment on the programme is being shared because this leads to the bigger picture that many of our children who are exposed to are unaware of the alleged “innocent implications.” In Life it is better to speak on what you know and act accordingly. Thank you for the space. What does genetics have to do with the left or the right. Where in the commentary does it say that genetics has anything to do with the far right? My article quite clearly makes the point that both the C4 documentary and the Ed West commentary (written in response to it) is politicizing cosangunity, rather than treating it as a health issue and matter of personal choice. Moreover, that the health problems associated with it have been grossly exaggerated. Excellent post. Somewhat unusually for this topic, the factual information is actually CORRECT! For those interested, you might want to read the Wikipedia article on cousin marriage, including the genetics section. I watched this programme and I know these people their religion and their culture. Every time anyone so muchs as looks sideways at anything that a Muslim does there are screams of racism and Islamaphobia. You are suggesting it is wrong to discuss what these people do even though it is costing their lives. Not least that I would also like to see the question discussed on the reason why these people think the rest of us should pay for their health care just so that they can keep us an archaic and barbaric tradition. Im sorry but I disagree with this article. Absolutely I think the banning of the burqha is a move to completely demonize the Muslim community but this is a matter of public health. I also think that the dangers of having a baby at a late age are far far far more publicised, certainly here in Ireland than the dangers of first-cousin marriage. You say that of course C4 draughted in a women of Indian origin to give credence to its claims but if you read the feature she wrote on the dispatches website you would see that her family was personally effected by this issue. Also I dont see why she would wish to demonize her own community. Whether the risk is 10 times greater or twice as great it is irrelevant. If it is something which could be avoided it should. No one would tell two HIV sufferers to procreate and thus if there is even a but of a higher chance of something happening its important that people act responsible and don’t engage in the practice. I think it’s important for the community to discuss these issues themselves and not frame this as an attack, although admittedly it may be one. Genetics are all probability and while the children of cousins are at a greater risk of certain genetic disorders, this risk is not as inordinate as it may seem. The underlying reasons for why such marriages are occurring is typically (but not always) where a child born and raised in the west is “promised”/”encouraged”/”expected” to marry a cousin from back home. The relatives back home view it as an entitlement so that their son and daughter will go off to the UK, live the better life and send money back to them. I’m not saying this happens in all relationships, as I personally know of many happy arranged marriages between cousins with beautiful and happy children but I also know a lot of sad stories. Whilst I agree that a cautious attitude should be taken towards the statistics and techniques used in Dispatches, I believe that many of the facts cannot be overlooked. I live in a town with a large Pakistani community, and the primary school which I attended, and which my mother works in, has a deaf unit. Every year, for the last 18 years at least, 90% of the children in that class have been of Pakistani heritage, where as there is no such ethnic majority in the school as a whole. Surely this would not be the case if first cousin marriages were not so common within the community?